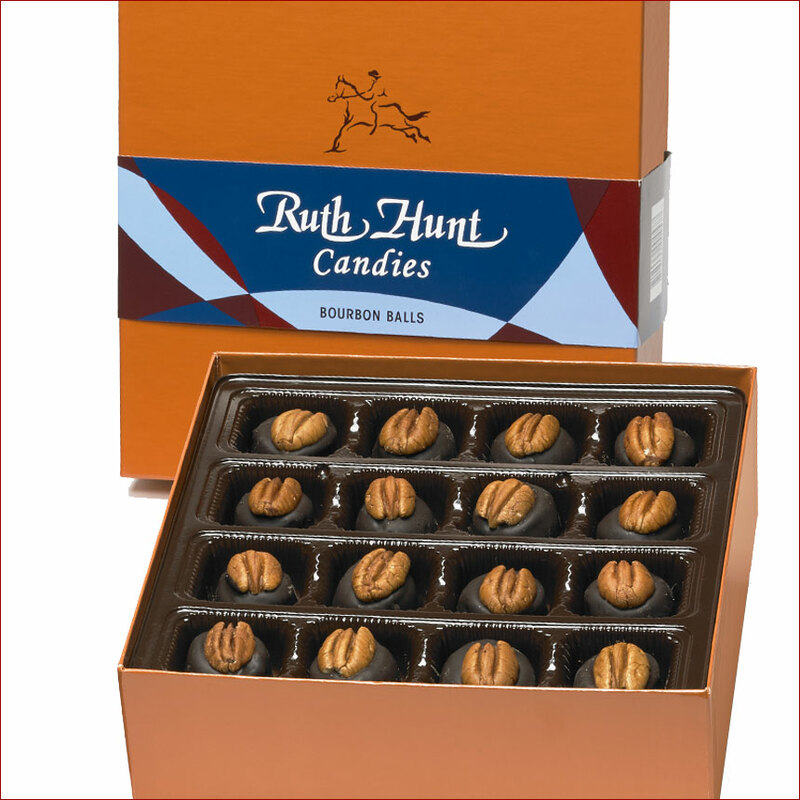 Ruth Hunt's special process imparts the full flavor of Woodford Reserve® Kentucky Straight Bourbon Whiskey into the fondant. 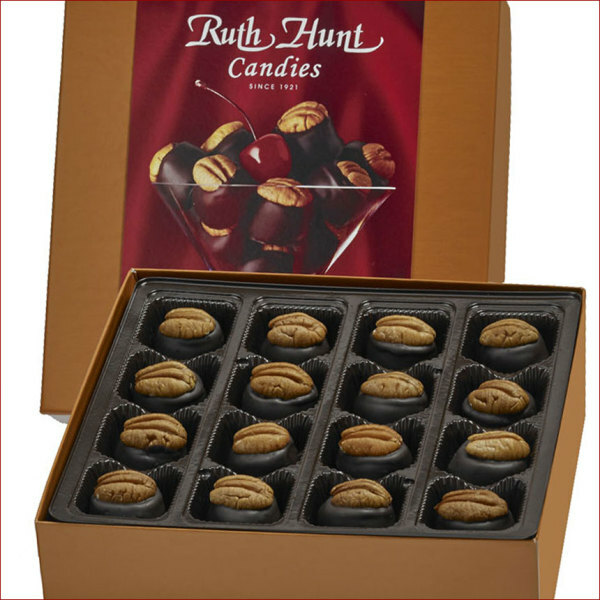 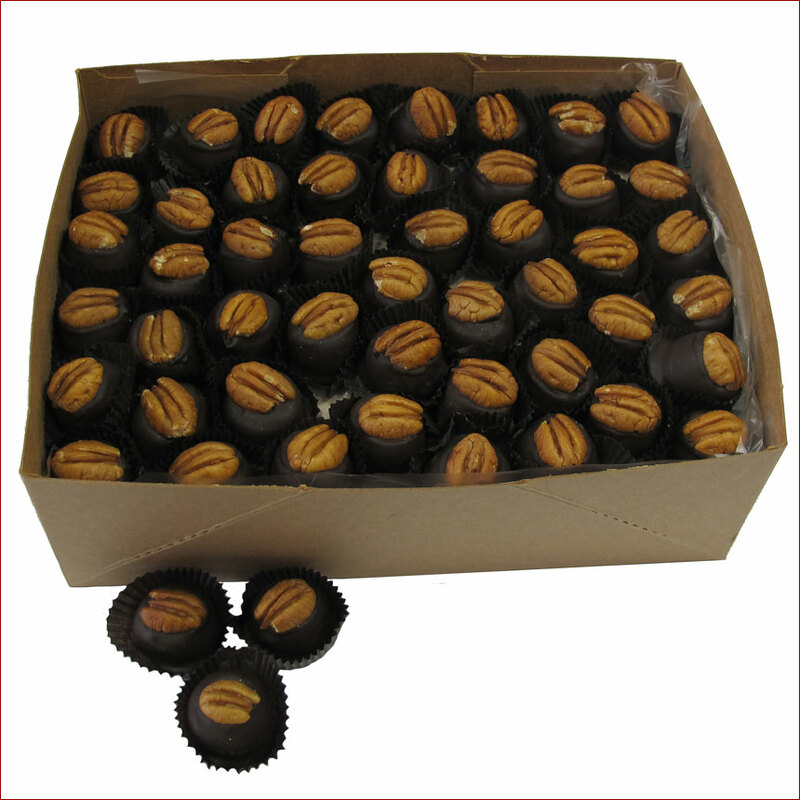 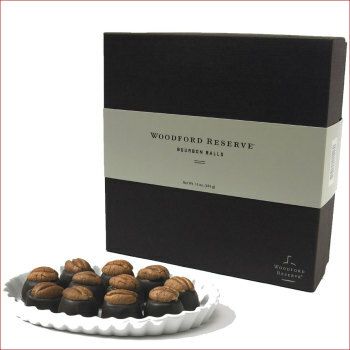 As these Bon Bons are covered in rich, warm chocolate, our candy makers carefully top each piece with a perfect pecan. 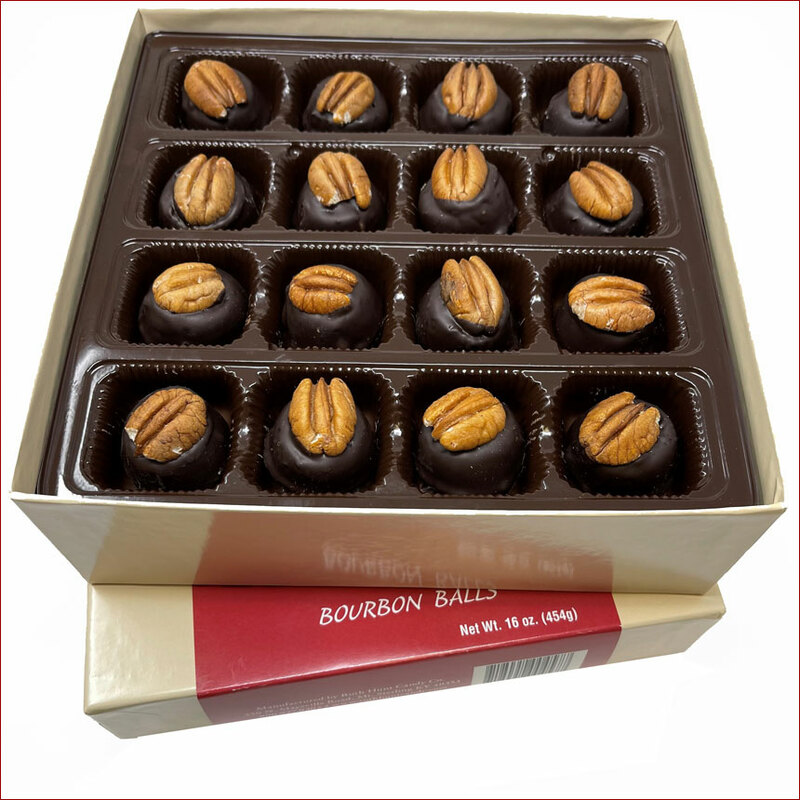 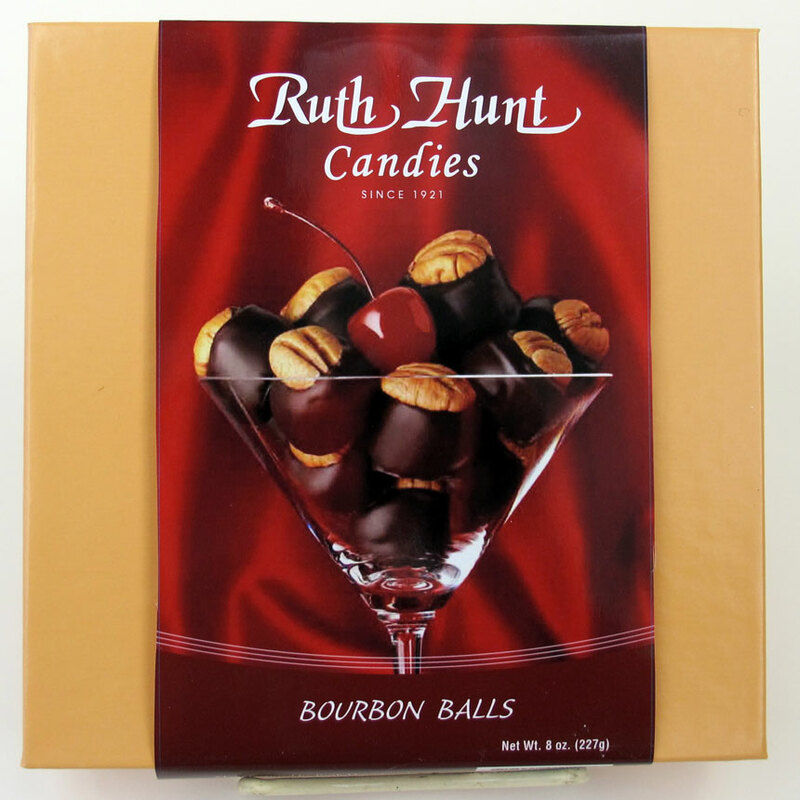 The secret is out, these Bourbon Balls are amazing and why we ship them across the state and to every part of the country! 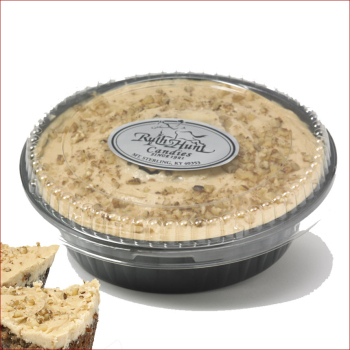 Bourbon Enhanced Kentucky Jam Cake, 2.25 lb.